Kids Carnival in Fortress Square Mall is started today on 27th July and will remain till 30th July 2017. Kids Carnival in Fortress Square Mall will be a fun filled event for kids. So what are you waiting for? come with your kids and Join Kids Carnival in Fortress Square Mall from 27th July till 30th July to enjoy endless fun and get Exciting Prizes and Gifts from the best of the brands at Fortress Square Mall. How to get entry for Kids Carnival? The entry for Kids carnival in Fortress Square Mall is absolutely free for all. 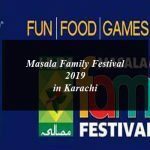 How to register for games in Kids Carnival? Registrations are Open Now for Kiddy Car Racing Championship and Snake & Ladder Game. Hurry Up & Register your Kids for the Racing Championship & Win Exciting Prizes. In order to register visit Customer Service Desk (CSD) at Ground Floor, Fortress Square Mall. The last date to register for Kids carnival in Fortress Square Mall for Kiddy Car Racing Championship is 26th July, 2017. Fortress Square Mall, Fortress Stadium, Lahore Cantt.